At the young age of three years old, Fatima Baig was diagnosed with Primary Sclerosing Cholangitis (PSC), a chronic autoimmune disease that attacks the bile ducts in the liver. If left untreated, this condition often results in permanent scarring of liver tissue. Over time, the health of Fatima’s liver declined and she found herself in need of a liver transplant. Fortunately, she was able to receive a portion of a liver from a living donor – her mom – in 2004 at the age of 11. After the procedure was completed successfully, Fatima and her family assumed that she would be able to return to school and carry out a normal and healthy life. Unfortunately, within six years, complications occurred following her first procedure and she was told that she needed a second liver transplant. During this time, in which she waited almost four years on the transplant list, Fatima relied on support from her community, family, and faith to remain optimistic that she would find a suitable donor. As she approached the final stages of liver failure, Fatima was miraculously granted a second chance at life when a donated liver became available. Subsequently, in 2014, she underwent her second liver transplant in a procedure lasting almost eight hours. Today, Fatima is a healthy 24-year-old woman who is passionate about bringing organ transplantation issues to the public forum through various platforms. Inspired by her own and thousands of others’ experiences, she is a prominent advocate for organ donation. In doing so, Fatima has written a book entitled Fatima’s Journey. 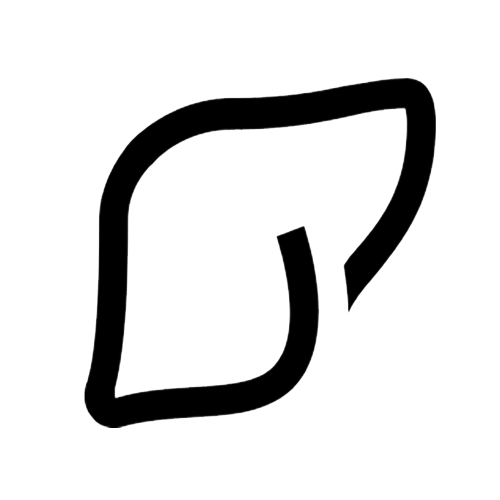 A Search for a Liver, in which she details her experience, discussing her personal health struggles, coping mechanisms, and how she was able to build a supportive community with those affected by organ transplantation. Currently, Fatima is studying journalism in hopes of continuing to advocate for social and ethical issues in the future. We had the pleasure of talking to Fatima and learning more about her story. What inspired you to write a book about your experience? Fatima: After doing research on deceased organ donation prior to my second transplant, I realized how few people are registered to be organ donors. That’s when I decided I wanted to share my story and spread awareness not only for my own situation, but also to support others. I wanted to write my book, not only for chronic illness patients but also for anyone [who] experiences challenges in life, which is essentially everyone. I wanted to share my story and my advice for everyone out there. How did you feel when you were told you needed a second transplant? Fatima: Nobody was expecting that I’d need another transplant. It came to us as a shock as we originally thought I would be able to go home and back to school after my first transplant. The day I heard the word “transplant”, I kept having flashbacks to the first. It was definitely a shock and very unexpected. We considered doing another live transplant, but unfortunately it wasn’t possible for my situation. How was your second transplant different from your first? Fatima: The transplants were different because the live transplant had an exact appointment date whereas the second transplant had no set date. It could have been the day after I was listed or it could have been years, which was the case for me. So the waiting was the most different. Also I was younger during the first transplant so I didn’t know much about transplantation whereas for the second one, I actually knew what to expect, which made it more difficult. Fatima then elaborated on being on the transplant waitlist for her second transplant. Fatima: In the transplant community, there is no typical wait time. It depends on the person’s situation, their blood type, et cetera. I wasn’t expecting to wait as long as 3 years and [was] always hoping my liver would come soon. The longer that people wait, the more prone they are to complications and the longer they have to stay in the hospital. So everyone obviously wants a liver as soon as possible. Throughout the wait, your faith and hope is tested but ultimately you regain hope by knowing whatever happens is God’s will. Did you ever feel that living with PSC and experiencing the liver transplants ever held you back from achieving any of your goals? Fatima: Obviously during the transplants, I wasn’t able to do much. I couldn’t go to college which I was looking forward to, but watched as my friends did. I was expecting to do everything that normal high school students do. Ultimately, it was basically like my life was on pause. Although I wasn’t able to achieve my goals at the time I wanted, I’ve come to a point where I realize that everyone’s journey is different. This doesn’t mean that just because I wasn’t able to achieve my goals then, I won’t be able to now. Since I’ve received my transplant, I’m able to live my life to the fullest now: graduate from college, obtain my driver’s license, and do everything everyone else does. How did support from others and your faith play a role during your transplant journey? Fatima: At that time, support is everything for the person waiting. I always had hope that someone would step forward and become a donor, but there are always times where your faith and hope are tested. During these times, I’d always find something else to regain my faith. I also relied on people in a Facebook group who also had experiences with organ transplantation. They were incredibly supportive; I would rant to them, talk to them, complain to them because they know what it’s like. It’s important that, in addition to supportive family and friends, you have people who have had common experiences and know first-hand what it’s like. Basically, faith and hope are what got me through everything at that time. Is there anything you would like to say to others who might be waiting for a transplant, or be in a similar position? Fatima: People shouldn’t have to do this alone. hey need to have a support system around them – that’s very important. These are people to lean on at that time. I also think it’s important to have someone who has been in your circumstances or a similar situation, because they know what it’s like and can hear you out. Obviously, you need to have something to hold onto when you’re in that situation. Have hope and have faith in whatever you have faith in, whether it’s your doctors or whomever else. What about those in the public who are considering registering to be an organ donor? Fatima: Think about the fact that if you were waiting yourself, you’d be more than willing to receive an organ, so you have to be willing to give as well. Also, let your family know your wishes. A lot of people register to be an organ donor and their families don’t know and then at the end of the day, it’s ultimately [up] to the family. So it’s important to have this discussion. Instead of being this taboo thing to talk about, especially for people my age, it needs to be more of a regular conversation. People need to educate themselves more and realize that this [gift] is something that everyone has to give. If you have this gift, give it. What would you say is the greatest takeaway from your experiences with transplants? Fatima: During the transplant experiences, I learned to appreciate the little things in life that are important. At the end of the day, what everyone worries about doesn’t really matter. When they are taken away from you, you realize how precious certain things in life are. After speaking to Fatima, we were inspired by her strength and positivity throughout her difficult transplant situation. We were further inspired by her determination to raise awareness for organ donation and ability to share her story to influence others. Whether you are a recipient, a donor, or considering becoming a donor, we hope that this story will encourage you to think about how you can help individuals like Fatima, through advocacy, donation or community support. To read more about Fatima Baig, visit her website.